If you run a commercial business that deals with its own storage and distribution in-house, then you’ll already be familiar with the logistics of running a successful warehouse, and the importance of an efficient forward supply chain. But if your business is outgrowing its current warehousing facility, then what are the options available to you? One of the alternative solutions is to simply outsource your fulfilment requirements to another warehousing facility or third party logistics company, either permanently or for an agreed amount of time. Space tends to be one of the biggest issues when scouting for a new warehouse, particularly if you deal in large or bulky goods. Many warehousing facilities offer flexibility on the amount of storage you can get, which is perfect if you ever need to expand again in the future. It can also be the cheapest and most reliable short term option, with a professional warehousing company taking over your fulfilment and freeing up time to work on other important aspects of the business. However, outsourcing your warehousing and distribution needs might not be something you wish to do if you’ve invested time and money into building an effective order fulfilment solution yourself. Whichwarehouse can assist with both finding suitable warehouses for rent and also have a network of operated warehousing companies we work with who are able to deal with all your logstics needs for you. If you require any information or assistance with finding suitable logistics companies or available warehouses for rent, contact us today on 0800 1707 555. 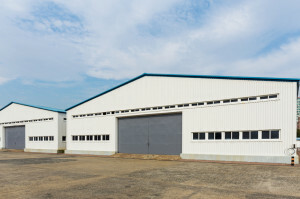 Another option involves searching for empty, available warehouses for rent which can take longer to set up but offer a long term solution and the chance to expand your business on your own terms. Transferring all your equipment, employees and computer systems into a bigger, more modern facility might be a massive undertaking initially, but it can also provide the opportunity to completely restyle your warehouse management system and overall structure, improving the process where required. If upgrading is too big a task, then looking for another similar sized warehouse means that there are no interruptions to your current supply chain, and you can even expand your sales territories and offer faster delivery times to certain areas. One of the benefits of renting a warehouse is that landlords will sometimes leave the previous occupants pallet racking and other such storage intact, which means you could also save money on storage equipment, although any previously used storage should be thoroughly checked by a specialist before being used.